I’ve been crafting for years in my speech therapy sessions. 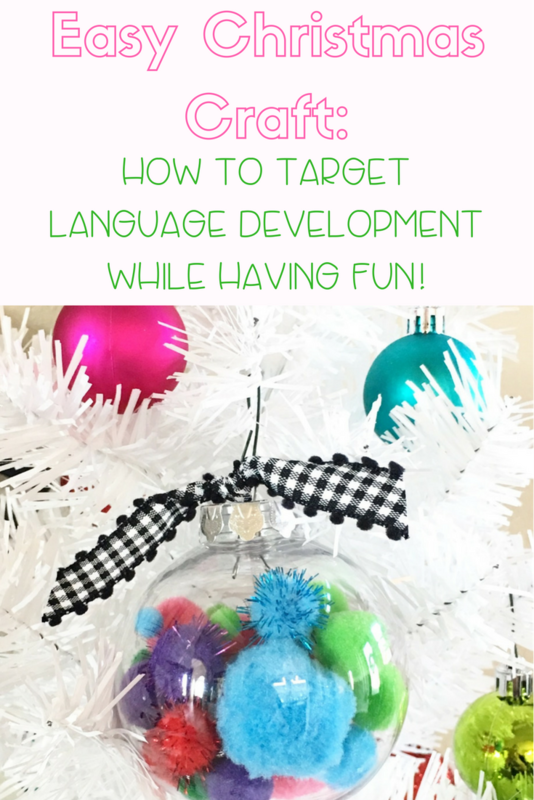 I am a huge believer in creating natural opportunities for speech and language development. Of course, creating something together is a perfect activity for that! So- lets get to the fun craft! 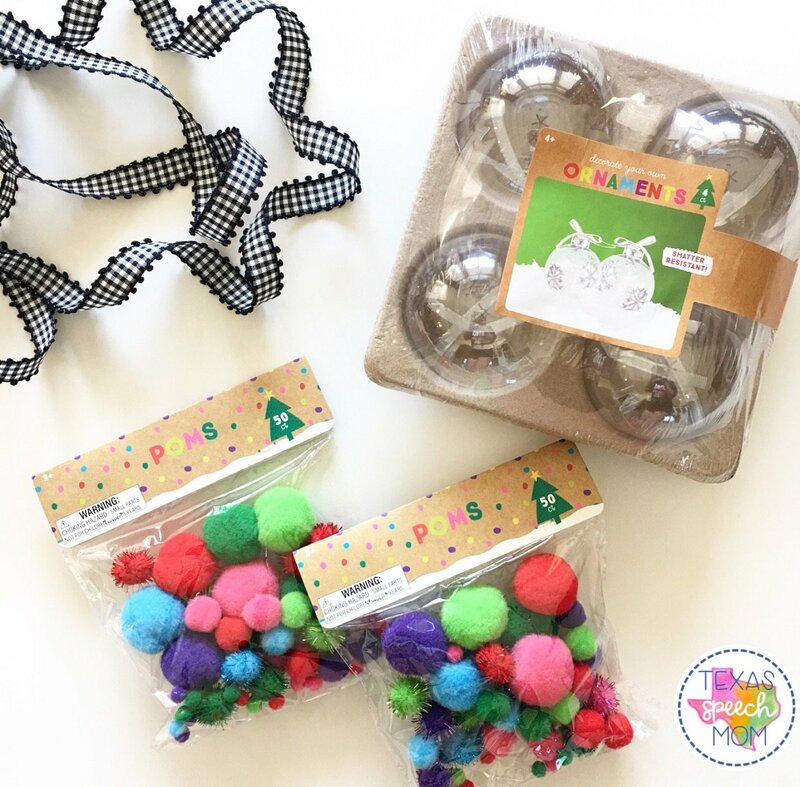 If you haven’t seen all of the fun holiday activities in the dollar spot at Target then you must go (… or RUN) there ASAP! Everything seems to go quick and you can’t beat inexpensive yet fun activities! 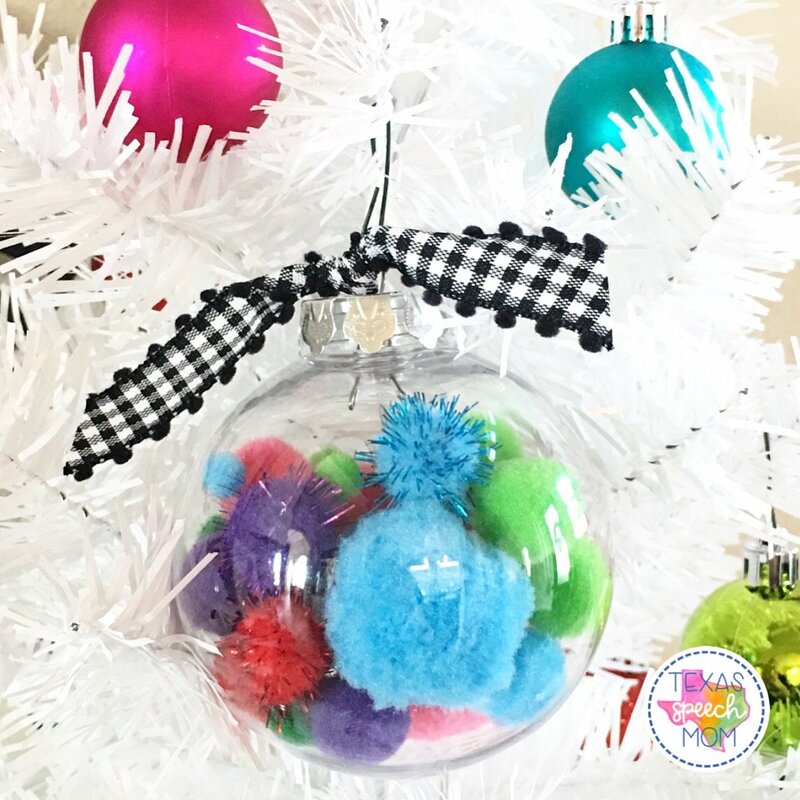 For this activity all you need are clear plastic ornaments, pom pom balls, and some ribbon. Super simple and cost a total of $5 since I already had the ribbon. 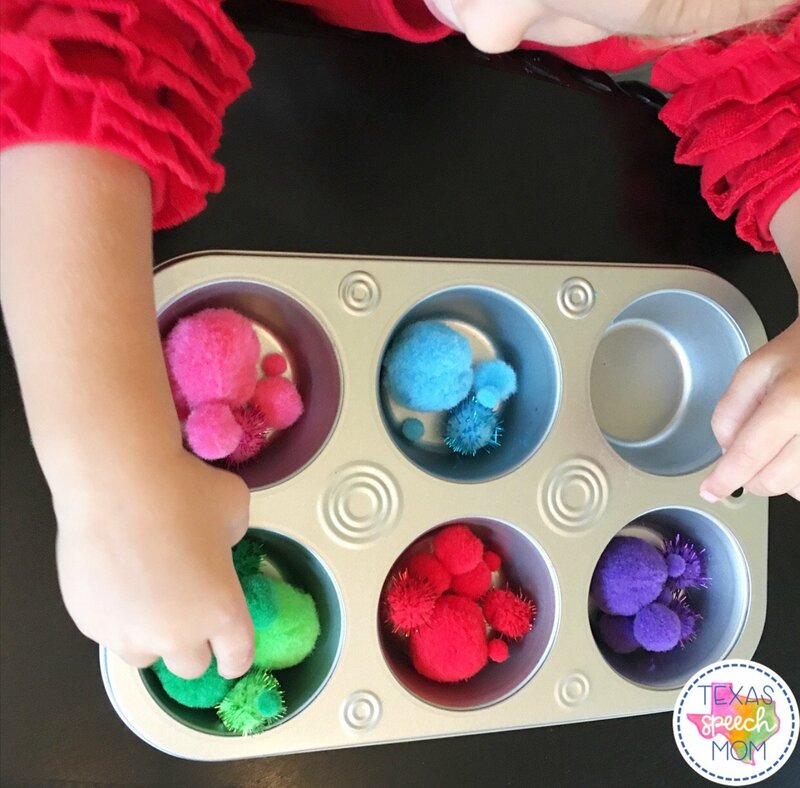 This is a great opportunity to review colors and use fine motor skills to sort the different color balls. I used a muffin pan to make it easy to keep them separated. We also talked about “dark” green vs “light” green! Then we talked about how we can sort by different sizes! 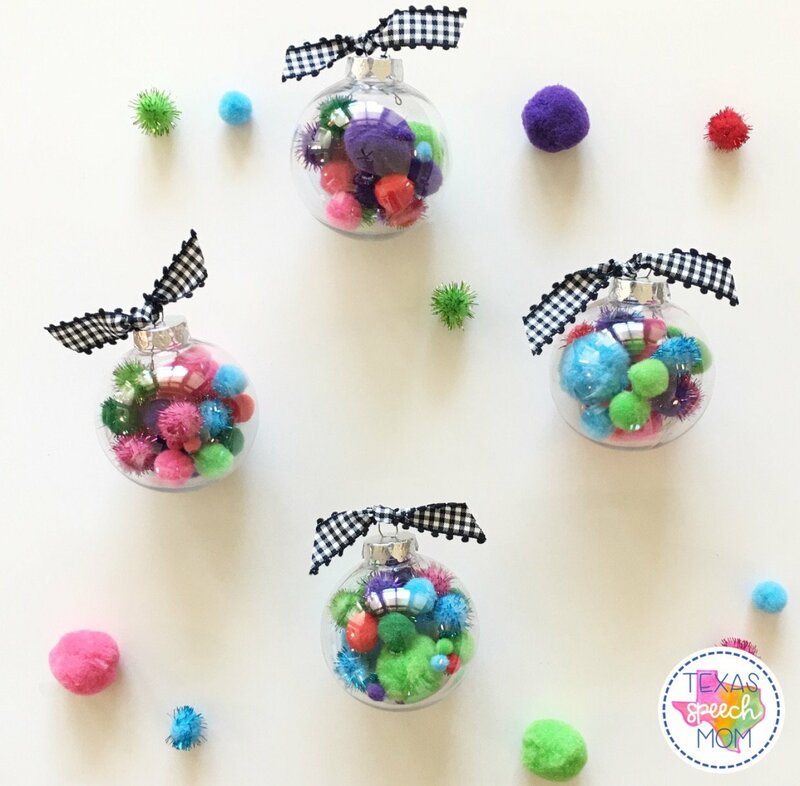 She loved finding all of the small, medium, and large pom pom balls! This is a great opportunity to use other words like: tiny, huge, enormous, little, etc. 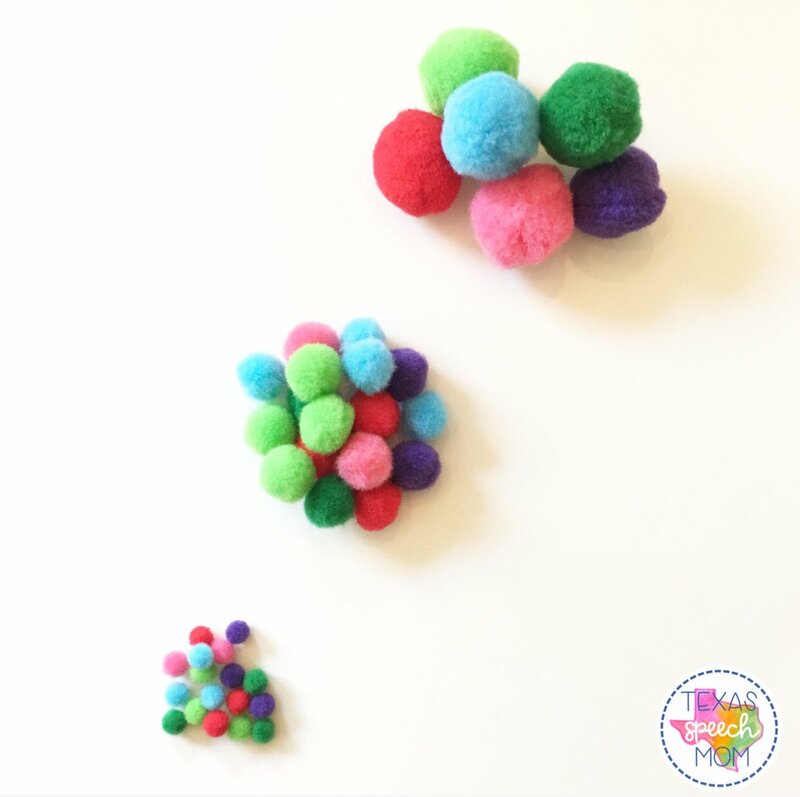 These tiny little pom poms provide so many opportunities for exposing great vocabulary! She loved to point out how the “shiny” or “sparkly” ones were so pretty. 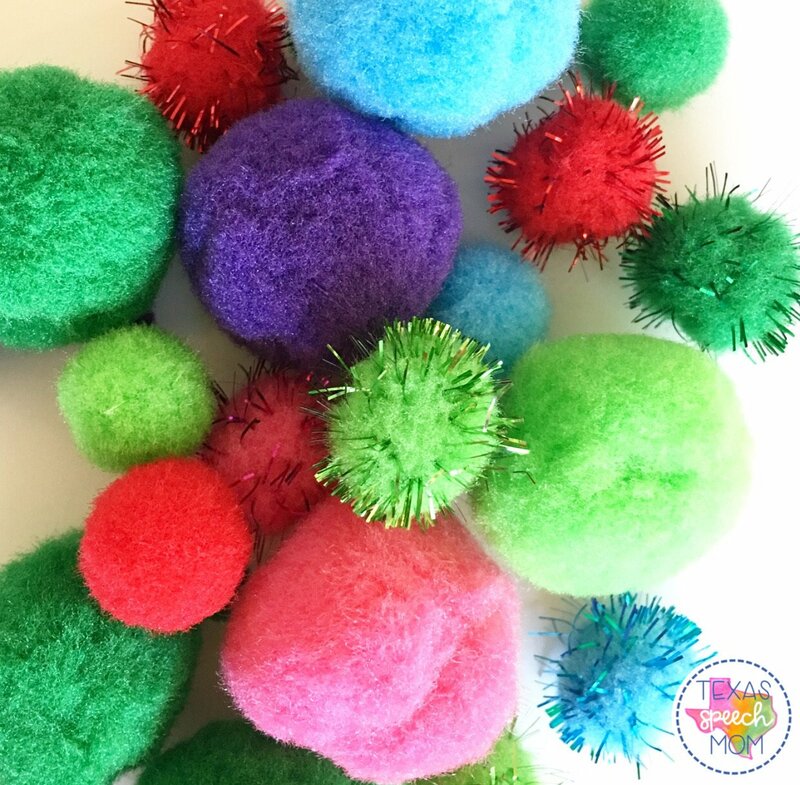 They have little “spikes” and not as “smooth” as the other pom poms. Then we talked about the shape of them. They are “round” like a ball and could roll across the table. You can guess what she wanted to do next…. 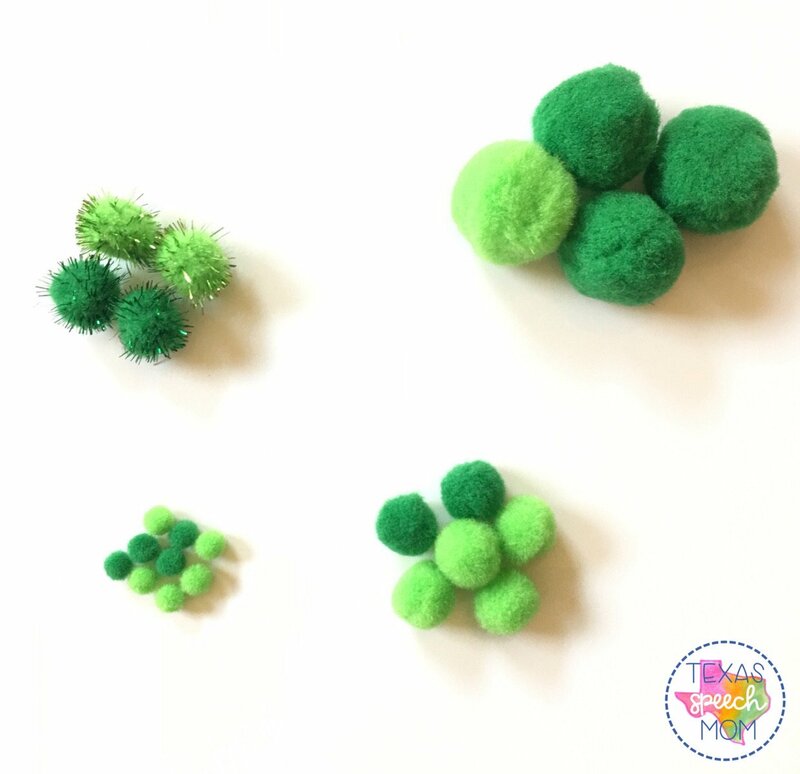 roll ALL of the pom poms. 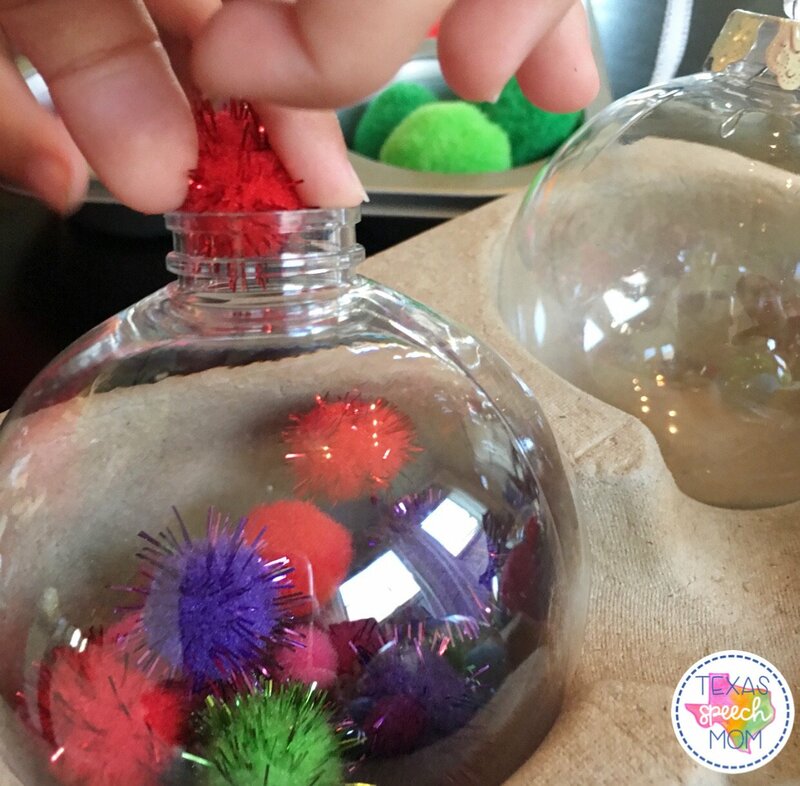 At this age I love to start incorporating fine motor activities because it is so important for early exposure. 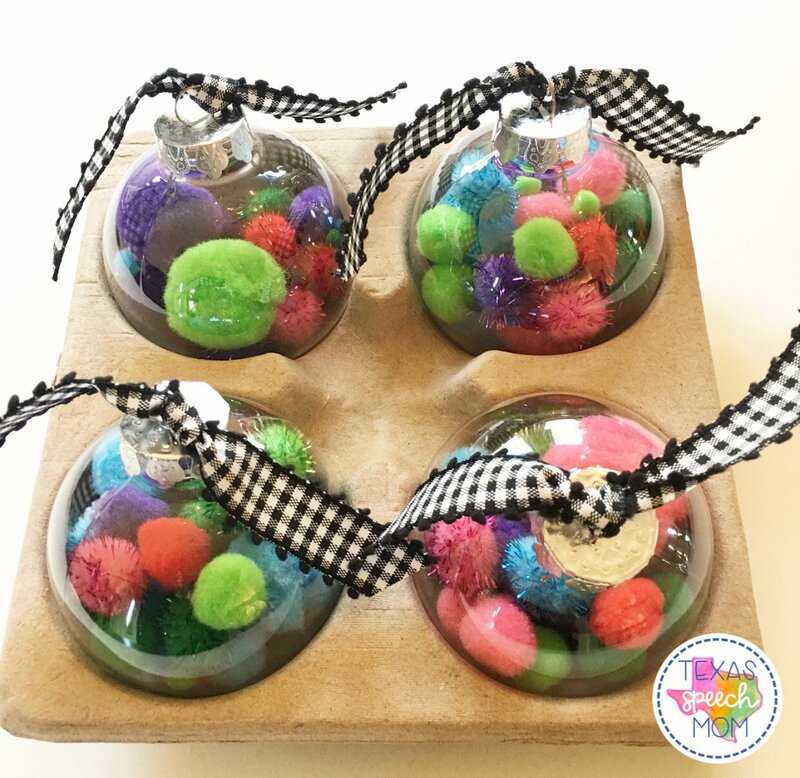 Picking up the different size pom poms and carefully putting into the top of the ornament was great practice. After the pom pom balls were put into the ornaments, I just put the tops back on and tied some ribbon! Unfortunately I have never been a talented “bow maker” so I just stuck with the “tie a knot” strategy! 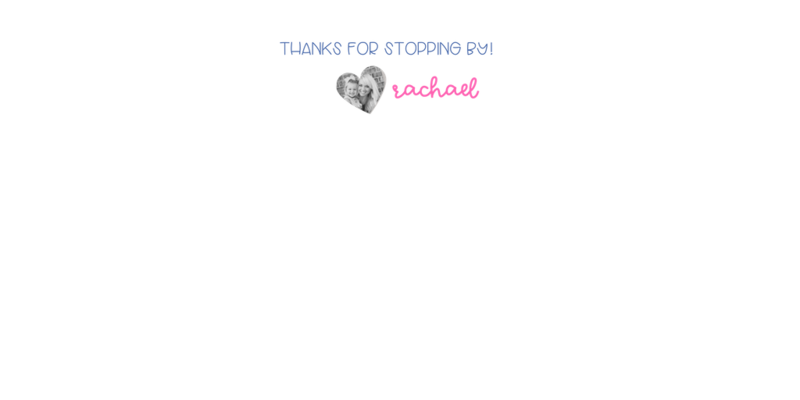 I think they turned out so cute and I loved spending the time making them together! 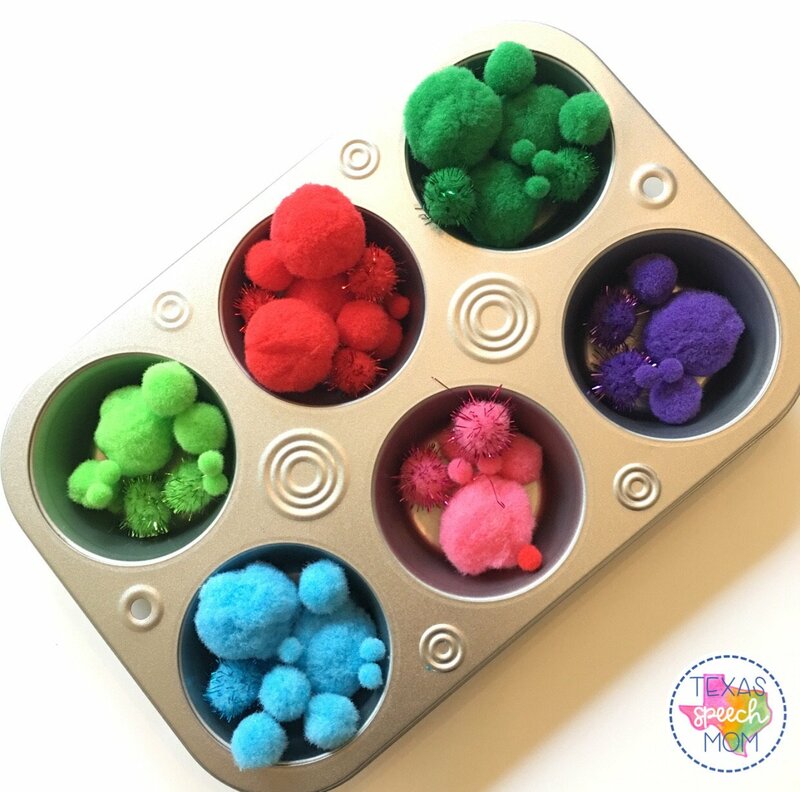 Such a simple and easy activity that we both loved! 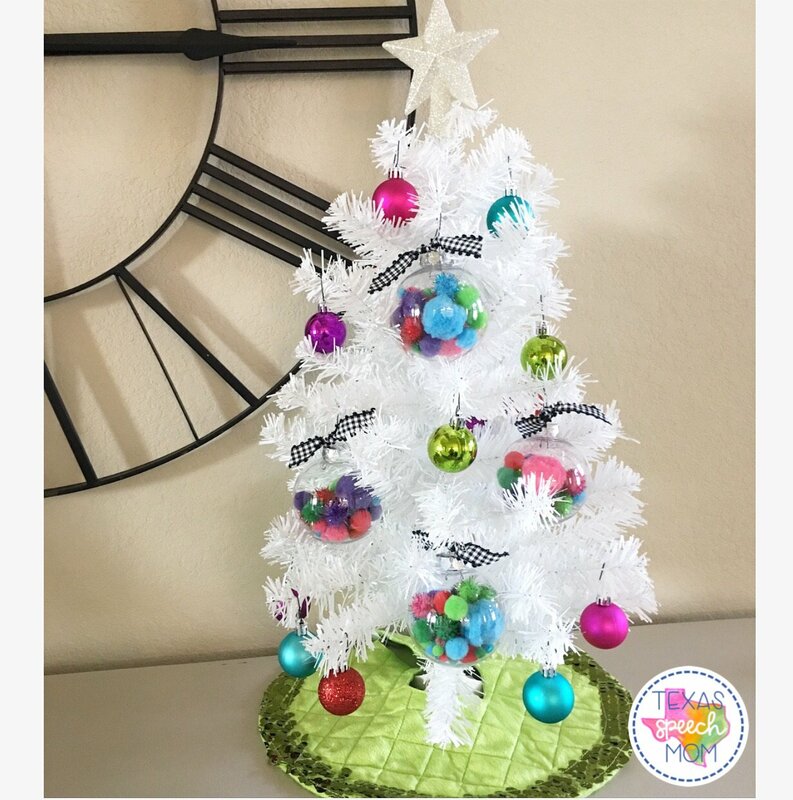 Let me know if you end up making the same ornaments! I would love to hear from you! Follow me on my Instagram Account or Facebook Page! « How To Work On Speech and Language Skills At The Zoo!